Planning that big spring cleaning and desperately in need of help? Well, there is a perfect solution for you offered by SATSU Ltd. in London and the area. The company offers highly efficient, very reasonably priced, and professional one-off cleaning, that will take care of all those small details and hidden bits of your home which you never seem to get to when cleaning. Call 020 3746 6887 or fill in the online booking form for a free quote. Save time and energy and just call 020 3746 6887 or use our online booking form now to get a free quote for this service. You can combine cleaning services and book professional oven or carpet cleaning at the same time and get a generous discount. 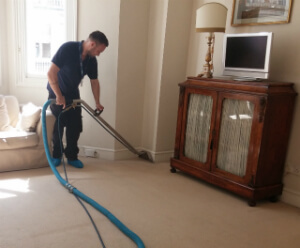 For over 10 years, our professional cleaning company has been providing a wide variety of high-quality, efficient and full cleaning for its customers in London. All cleaning technicians are trained and work in accordance to an approved cleaning checklist. There is continuous quality control during the one off cleaning. To get a free quotation and information about discounts, dial 020 3746 6887 or fill in the online booking form now! The one-off cleaning services provided by SATSU Ltd. has been used by thousands of the residents of London for more than 10 years. Choose to book a combination of cleaning services and get a very attractive discount. You can book the one off cleaning even on weekends and bank holidays so go ahead and book now! Booking a one off cleaning for your home is extremely easy. You need to fill in the online form, or call the customer care service for a quotation and for booking information. No deposit is required. Keep in mind, that the fees are hourly based, and that there is a requirement for booking the service for a minimum of 3 hours. The number is 020 3746 6887, so don’t hesitate and ensure you have a perfectly squeaky clean house in no time at all.